Licensed to practice before the state and federal courts in both Arizona and Utah, Kelton takes a common sense approach to resolving cases as efficiently and effectively as circumstances permit. He has tried jury trials in three states and has participated in scores of mediations and arbitrations on behalf of his clients in both Arizona and Utah. Kelton is a frequent presenter at trucking and transportation seminars. In recent years, he has presented in Arizona, Colorado and Texas on topics that include “Scare Tactics of Plaintiff’s Lawyers and Preventing Jurors from Falling for It,” “Direct Examination of Company Witnesses”, “Interpreting the Insurance Contract – Nuances and Pitfalls,” “Analysis of Venue/Practical Tips on Venue,” “Defending Low Speed Accidents,” and “Broker/Shipper Liability.” Throughout his career, Kelton has also given presentations to claims professionals, trades people and other attorneys on topics such as trends in additional insurance coverage, changes to the Federal Rules of Civil Procedure, and Arizona law with respect to third-part insurance coverage claims and litigation file management. 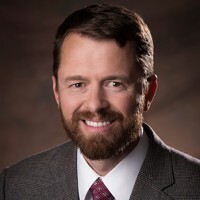 He is a member of the State Bar of Arizona, Utah State Bar, J. Reuben Clark Law Society and The Harmonie Group, an international affiliation of independent law firms.